LCD Touch Screen Digitizer Assembly for HTC U 11. 1 x HTC U 11 LCD Display Screen with Touch Digitizer. LCD and Touch Screen Assembly. What you get. Touch Screen Digitizer & LCD Display Assembly. 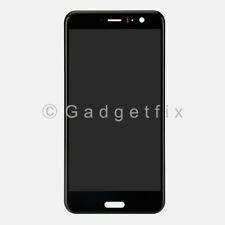 1 x Touch Screen Digitizer with LCD Display Assembly for HTC 10. Each Screen is Tested and 100% Working Condition. What You Get. HTC 10 One M10 M10H. High quality LCD Display Touch Digitizer Screen Assembly,preassembled. 1 x LCD Display Touch Screen Digitizer Assembly. Black color as picture showed. We will resolve for you soon. Package Contents: 1 x LCD Touch Screen Digitizer Assembly for HTC One M10 without Frame Black. Feature 1-100%NEW And with Reasonable Price. 2-Perfect replace your breakdown LCD Display Touch Screen Digitizer Assembly. 3-Each item has been tested before shipping and working well. 4-Good Quality Ship from US Free return Excellent customer service. We are not able to take any responsibility for any custom delay or tax. Import duties, taxes and charges are not included in the item price or shipping charges. When removing the screen, it is highly recommended to use a blow dryer to heat the edges which helps to separate the screen from the seal. .
HTC One M7. it may result in void of warranty. We will try our best to satisfy you! Title Goes Here. 1 x LCD with Touch Screen Assembly for Huawei Mate 10 Lite (Black). Huawei Mate 10 Lite. Touch screen with LCD Display Assembly. What You Get. Trending at $32.64eBay determines this price through a machine learned model of the product's sale prices within the last 90 days. Feature: 1. Compatible Models: For HTC Desire 626 with Frame Black 2. Color: Black 3. All of our lcds are double tested before shipping 4. 100% working, and Clean and safe package 5. 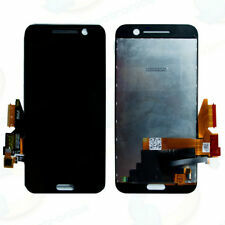 100% Brand New LCD touch screen digitizer assembly 6. It can make your cell phone work normally 7. Touch Screen Digitizer & LCD Display Assembly. 1 x Touch Screen Digitizer with LCD Display Assembly for HTC Bolt. Each Screen is Tested and 100% Working Condition. What You Get. Please confirm the model of the mobile phone before placing the order. If you have any questions, please do not hesitate to contact us, we will be happy to help you solve the problem.Best wishes--ibaye.ltd Team Feature 1-100%NEW And with Reasonable Price. 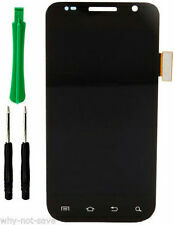 2-Perfect replace your breakdown LCD Display Touch Screen Digitizer Assembly. 3-Each item has been tested before shipping and working well. 4-Good Quality Ship from US Free return Excellent customer service. Packing Included: 1 x For LCD Display Touch Digitizer . Intended for those with experience in the cell phone repair field. Compatible Model: For HTC Evo 4G LTE. (E.g. you brought wrong size or wrong item). We accept US issued credit card only. We strive to earn 100% perfect "Five-Star" scores from you. The star-scores are very important to us. You may also like. Full LCD Replacement Perfect replacement for cracked screen, white screen or dead pixels. Also replace damaged or faulty touch screen. Perfect Fit for HTC 10 Original HTC parts, fit and compatible to HTC 10 perfectly. Easy Installation LCD, touch screen are pre-assembled, offering easier installation. Free Fix Tools Set Instruction is NOT included with the purchase. Please make sure you understand the touch screen and LCD disassembly procedure before purchase. We only accept return in original condition and strongly recommend customer to test item before installation. Compatible Model HTC 10 Specification Condition: Brand New Color: Gray Package Includes 1 x LCD Display Assembly 1 x Adhesive 1 x Free Tools Set X927 All product and company names are. Feature 1-100%NEW And with Reasonable Price. 2-Perfect replace your breakdown LCD Display Touch Screen Digitizer Assembly. 3-Each item has been tested before shipping and working well. 4-Good Quality Ship from US Free return Excellent customer service. Packing Included: 1 x For LCD Display Touch Digitizer Compatible with: Only For HTC Desire 530 Black. HTC EVO 4G / HD2 LCD Screen Wide Flex Display. If your HTC HD2 / Evo 4G screen is cracked, or broken, replace with this screen will fix the issue. If your HTC MyTouch 3G Slide screen is cracked, or broken, replace with this screen will fix the issue. Compatible Model(s): MyTouch 3G Slide. Brand new and original. It does not come with frame, fingerprint button. It does come with adhesive. Compatible with HTC U Ultra 5.7" only. UPC 8431250952672 MPN Does Not Apply Brand HTC Type LCD Display Touch Screen Digitizer Assembly Compatible Brand For HTC Compatible Model For HTC U Ultra 5.7" Color Black. Compatibility 626S. It is very important to test the LCD screen before you install it. You can do so by connecting the screen to the board without taking off adhesive on the back of LCD. Item Color BLACK. Item Includes: 1x HTC Magic LCD Screen. Compatible Model(s): Magic. HTC One A9S LCD Display with Touch Digitizer Assembly. 1 x HTC One A9S LCD Display Screen with Touch Digitizer (Black). LCD and Touch Screen Assembly. What you get. Great condition and no scratches on screen what's so ever. LCD Touch Screen Digitizer Assembly for HTC Bolt. 1 x HTC Bolt LCD Display Screen with Touch Digitizer. LCD and Touch Screen Assembly. What you get. HTC ONE S (aka, One S Ville). New Repair Part only; NO screws, NO manuals, No Adhesive. All Black. Does NOT include instruction manual or screws. Intended for those with experience in the cell phone repair field. Let's Get In Touch! For HTC U11 U 11. LCD Display Screen Touch Screen Digitizer. 100％ Origianl. New HTC EVO 4G Narrow Flex LCD & Touchscreen Assembly. This is a best quality HTC EVO 4G Narrow Flex. Compatible Sprint HTC EVO 4G. Front Housing (Sprint). it may result in void of warranty. We will try our best to satisfy you! HTC Vivid Original OEM LCD & Touch Screen ( White) With Back Cover ! New Repair Part only; NO screws, NO manuals, No Adhesive. All Black. Does NOT include instruction manual or screws. Intended for those with experience in the cell phone repair field. Compatible Model: For HTC One V.
This is not a full phone. Working LCD & touch screen assembly only. HTC THUNDERBOLT 4G ADR6400. HTC DROID INCREDIBLE HD ADR6400. REPAIR PART : HTC Thunderbolt 4G LCD Screen Digitizer Assembly. In excellent condition with little to no signs of use. This is not a full phone. Working LCD & slightly cracked touch screen assembly only. There are 2 small cracks at each side of the bottom of the touch glass. No buttons included. This is off an HTC BOLT 2PYB2 Sprint Phone. This is not a full phone. Working LCD & touch screen assembly only. The touch glass is heavily scratched. ROUGH CONDITION. This is not a full phone. Working LCD & touch screen assembly only. The screen is in nice condition. HTC is a Taiwanese brand that produces consumer electronics. This company is known for its smartphones, and it produces many different smartphone models. Find an LCD screen that works with your phone by poring over the options in this collection. An LCD display is the part of a smartphone that displays an image. These components are backlit by LED lights, and they feature a dense array of pixels. Many of these screens are capable of rendering 720p or 1080p resolution. These screens are connected to digitizers. Digitizers are sheets of glass that record contact between your fingers and the screen of a smartphone. These devices then send information regarding this contact to the phone's processor, which translates your touch into actions on the phone. LED screens for smartphones made by this brand can be replaced if necessary, and replacement screens often include digitizers and home buttons. Special tools are required to replace one of these screens. What tools are required to replace an LCD screen? Plastic stylus: This tool is inserted between the screen and the body of the smartphone. It is made from hard plastic, and it ends in a wide, flat tip. The other end is designed to be held by the fingers, and it is rounded. These tools come in a variety of different colors. Corner picks: These tools are used to hold the corners of the screen separate from the body of the smartphone. They are shaped like guitar picks, and they are inserted at various intervals around the phone screen. Suction cup: This tool is used to pull the screen away from the smartphone. It is made of clear plastic, and it has a metal ring on the end that is designed to be gripped by the fingers. Mini nut driver: These tools are used to remove any small screws that may be found within the body of the phone. They have heads that are designed to be compatible with the screws found in smartphones made by this brand. 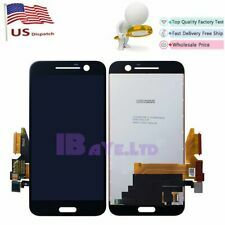 How do you remove the LCD screen on a smartphone? Insert the stylus in the crack between the screen and the body of the smartphone. Move the stylus around the edge of the screen. Once you reach a corner, insert a corner pick to make sure that the screen doesn't snap back. Once you have picks in all four corners, use your fingers to pry the screen out of the smartphone. Disconnect the power cord that runs to the screen.